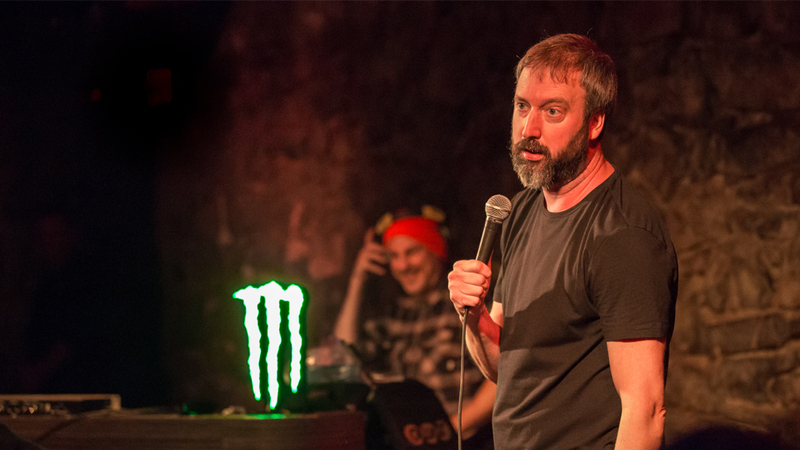 In February 2017, Tom Green toured beautiful British Columbia ski and snowboard resort towns and performed live to enthusiastic audiences across the province. Along the way, Tom met up with some old friends and made a few new ones: rappers, comics, DJ’s and Olympic skiers all joined the fun, along with Tom’s amazing fans. Tom Green’s Snow Jam is a potent blend of standup comedy, music, travelogue and action sports all against the backdrop of the stunning Rocky Mountains. Snowboarding fresh powder by day and performing raucous live comedy & music shows to packed houses by night!